This is a Non-Verbal Reasoning Question to test your brain. 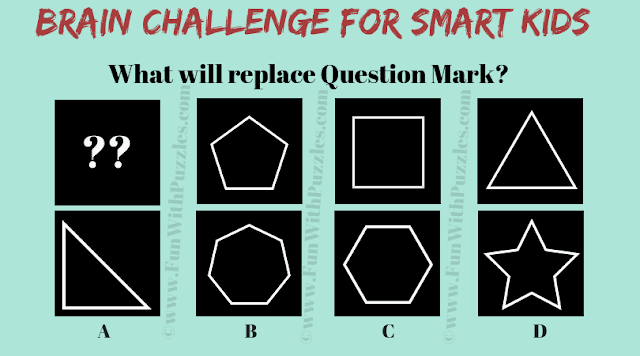 It is a brain challenge for smart kids. Solving this puzzle will test your visual reasoning skills. In this #puzzle you are shown some figures in a series. Your challenge is to study this series and tell the missing figure in this series. Answer of this "Non-Verbal Reasoning Question", can be viewed by clicking on the answer button. The number of sides is reducing when one moves from left to right.